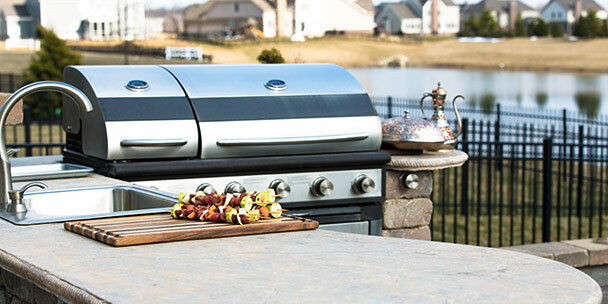 Grilling is a hot commodity and although grills are relatively simple and fun to cook on, some safety precautions should be taken to help with proper cooking and serving of your food. Having a set of potholders or oven mitts on hand can be a valuable asset to prevent a burn. Handles on grills are often made of aluminum and can be almost too hot to touch in the blazing sun even before the grill is fired up. A good practice is to use a potholder or oven mitt to open the lid of your grill on a hot day to prevent even minor burns from happening. Food comes off of the grill at very high temperatures – sometimes over 200°F – so take into consideration the plate, platter, or serving dish you will be placing hot food on. Plastic trays and dishes are great for quick cleanup but do not stand up well to high heat. Consider using ceramic, metal, or even wooden serving vessels for hot food, such as brisket or pizza. When cleaning your grill, avoid using any of these methods. Not only can these methods damage your unit, but they can pose health and safety risks if you aren’t careful. Using a wire brush may seem like an easy and effective way to clean food and sauces off of your grill, but cheap wire brushes are susceptible to losing wire bristles that can end up in your food the next time you use your grill. Wire bristles are can lodge in the mouth or throat, or even get swallowed, resulting in a trip to the emergency room. Logic and convenience would plead a good case for putting grill grates in the dishwasher after use for cleaning. From experience, I can tell you that doing so can leave an oily, dark residue inside of your dishwasher which may take close to a dozen high temperature cycles to come clean. It is not worth the aggravation in the long run. Pressure washing a grill grate seems like an effective way to maintain grill grates, but in reality, it is more of a nuisance than a cleaning aid. When I have pressure washed grill grates on the lawn, it has torn into the grass and left me with damaged stripes with lots of mud and dirty debris flying everywhere. The same goes for wooden decks and concrete patios. In my experience, the oily, greasy residue does not come off of the grates all that well, but what is removed immediately clings to the wood or concrete surface it is cleaned over, leaving you with additional cleaning problems. Use the following method in a pinch — but remember that any negligence during the cleaning process can still damage your unit. If you have a slop sink or washbasin, soaking and scrubbing can be an effective way to clean the grill grates. I use a mixture of hot water that is just off of the boil and a de-greasing dish detergent and allow the grates to soak fully submersed for four to 24 hours. Caution! If you have cast iron grill grates, they can begin to take on a rusty patina after even a few hours of soaking. If this happens, they can be re-seasoned after cleaning by coating them with neutral cooking oil and allowed to burn in over high heat on the grill for 15-30 minutes. 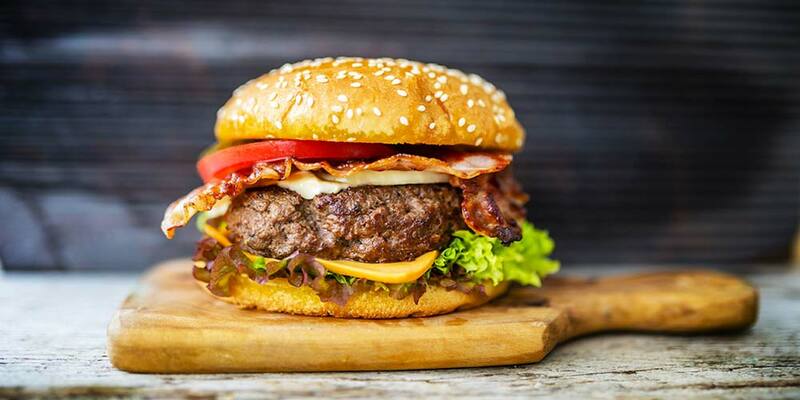 The following is the absolute best way to clean your grill. Not only will this method prevent damage to your grill, but it can also be the least time consuming if you are efficient with your process. I have found the most effective way to clean grill grates is to heat them over high heat for approximately 30 minutes and then turn the heat off completely. While they are still hot, I start with the sharp leading edge of a sturdy spatula and scrape as much debris from the top and side of each of the grates as possible. I follow this by wadding up heavy-duty aluminum foil into a ball about the size of a baseball and scrubbing the warm grates with the foil. The foil gets a little deeper into the top and sides of the grate and does an amazing job. If the grates are still greasy, you can use a large, raw potato cut in half to rub along the tops of the grates. This is easily done by inserting a fork into the un-cut side of the potato and rubbing the cut side back and forth with the direction of the grates. Finishing the process with a burn-in over high heat for 10-15 minutes when completed should leave you with a clean surface. Keeping a safe halo around your outdoor cook space is imperative for cooking safely on the grill. Look in all directions and consider the dangers that coincide with having an extremely hot surface operating in your backyard. If you have a tent, awning, pergola, or patio umbrella, assess the distance from the grill to the shade. One should also take into consideration that smoke and grilled foods can also leave discolored markings on lighter colored coverings. When you grill and barbecue meats, fats are being rendered from solid to liquid and they become extremely hot and flammable. Take a peek at the location of your grill and consider if there is a possibility for something to catch fire below the grill if hot grease spills. 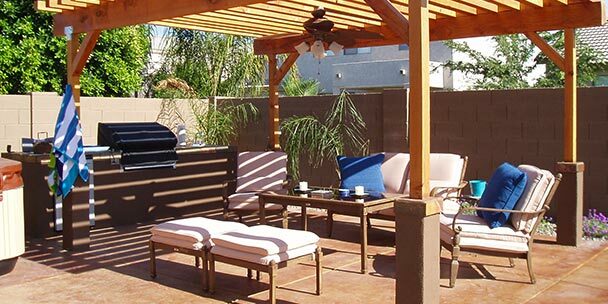 Grills placed on wooden decks and in the yard with dry grass or leaves immediately come to mind. Even a concrete patio, which is not likely to burn, can become a hazardous slip and fall area if grease spills on the concrete. A solution that competition barbecue teams have discovered is that auto parts stores sell metal trays for working under cars when changing oils and fluids. They are inexpensive, decent sized, and fit well under your grill. Placing a large, non-combustible tray like one used under vehicles will not only provide an extra layer of protection from combustion, it will make cleaning up below the grill’s work space much easier. Modern grills are made to fit in smaller spaces. One of my grills is neatly tucked in the corner of my deck where I cook on it year-round. However, having a wooden deck with wood railings, I must remember to take the distance from the back of the grill to the railings into consideration. A good rule of thumb is that you should be able to walk completely around your grill without turning sideways and without bumping into any obstructions or combustibles. By keeping a safe distance, you lessen the chance of injury or unwanted fire damage. I have been wanting to start grilling more this summer. So, I liked that you talked about the importance of cleaning your grill. It does seem like that and keeping a full propane tank on hand will help me grill better this summer. I like that you mentioned cleaning your grill and that will actually help you to have more safety. My brother is looking for a portable grill for sale and wants to be safe with it. I’ll be sure to talk to him about cleaning it regularly to ensure that safety.